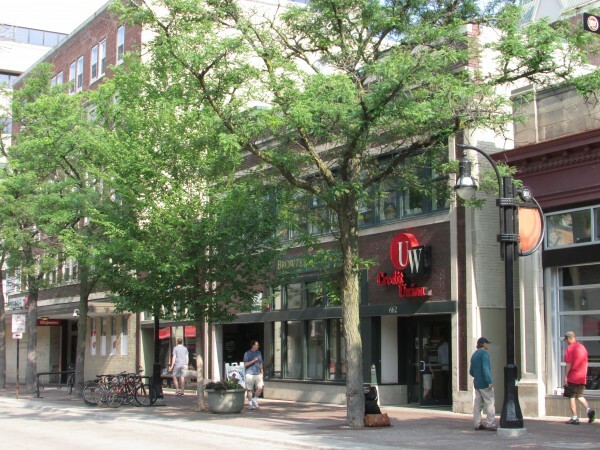 State Street – Madison’s Great Street! 30 Years of Observation and Fun! 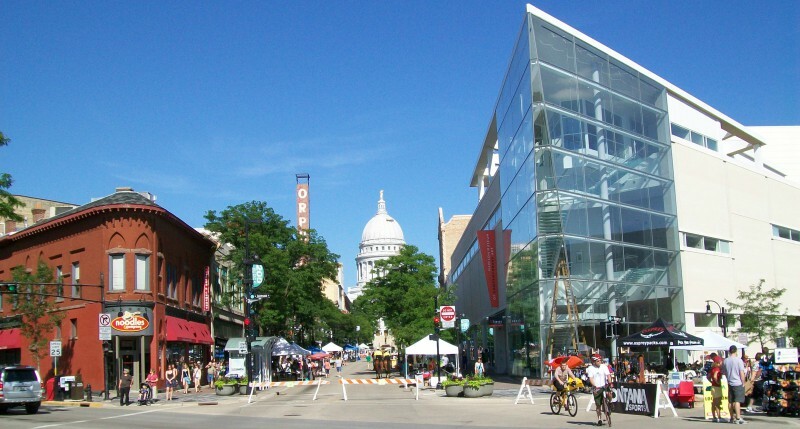 In the 30 years I have lived in Madison, I never get tired of State Street and think it is the heart of downtown, especially in the summer. All times of the year are interesting though. The street has undergone many changes over time like anywhere else. No cars are allowed on this street, only busses and bikes. I have enjoyed eating and shopping at many of the places on this special street. Let’s start at the top..from the Observation deck of our state Capitol. 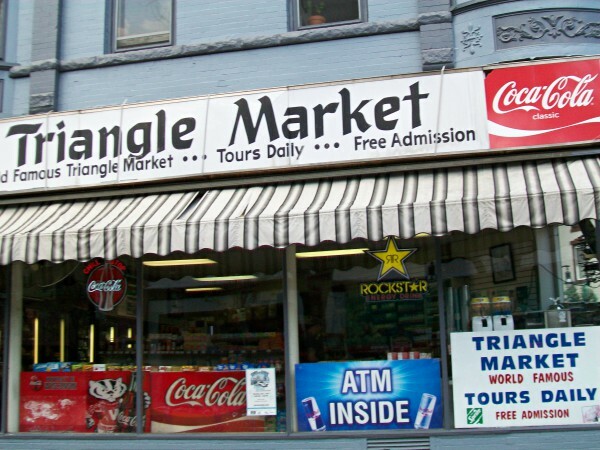 Myles Teddywedgers has been a favorite in Madison since it opened in 1976. 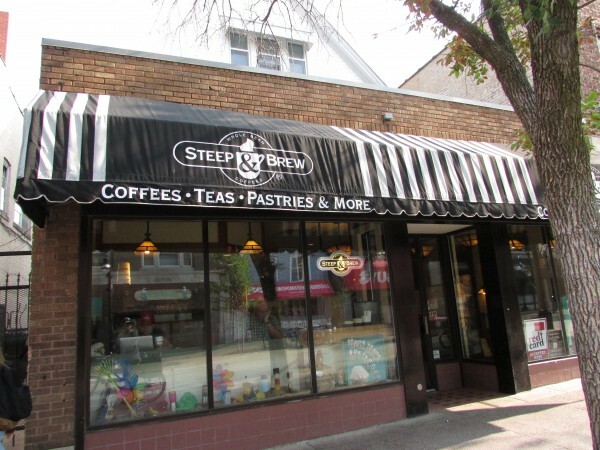 If you have a hankerin’ for a Cornish Pasty and you can’t get to Mineral Point or Dodgeville, this is the place to get one! They are very good! 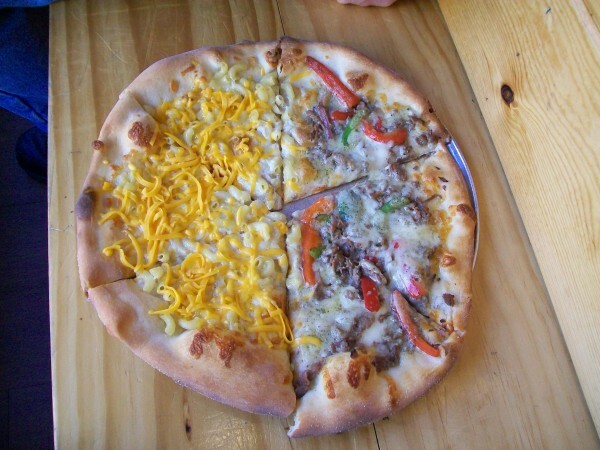 On the other side is Ian’s Pizza, famous for their Macaroni and Cheese pizza. 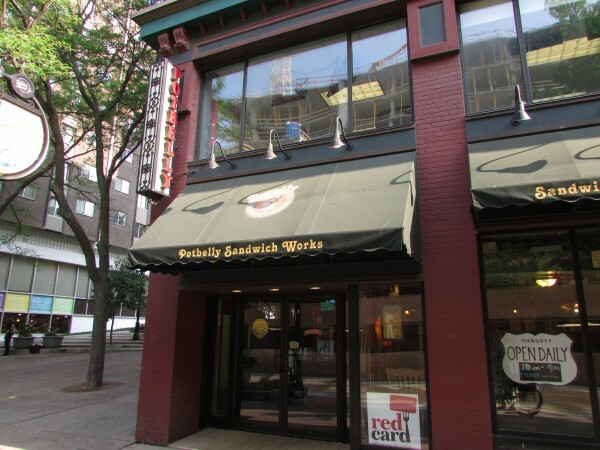 A little further down at 115 State Street is Buck and Badger, a Wisconsin-themed Northwoods atmosphere restaurant. A real fun place! 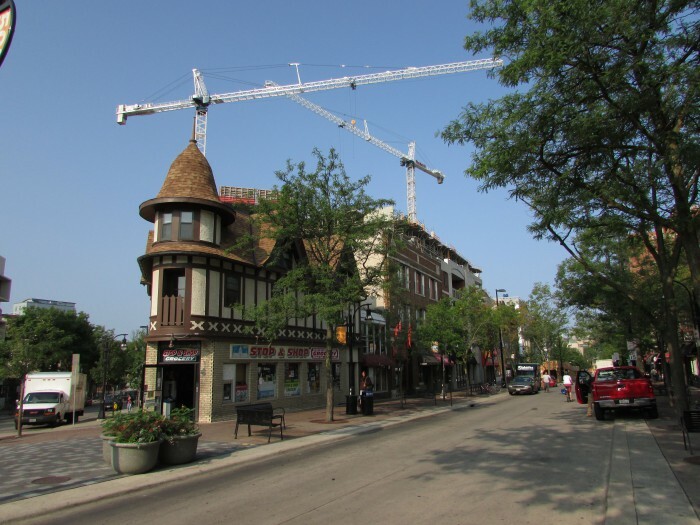 We begin the 200 block with the Overture Center for the Arts, Madison’s premier center for Broadway performances as well as local companies. 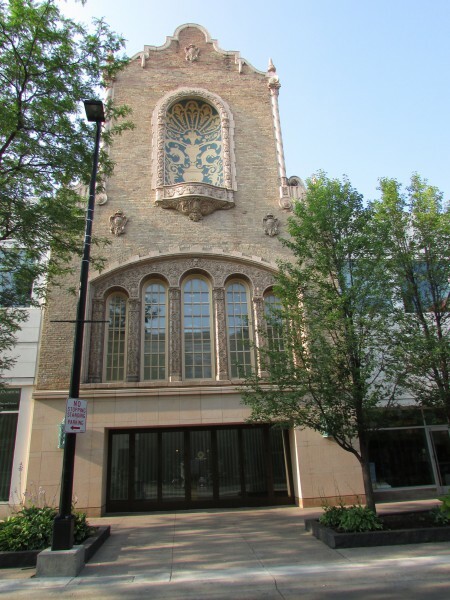 It was a gift by Jerry Frautchi and Pleasant Rowland to Madison. Madison does partially subsidize it’s expenses however. 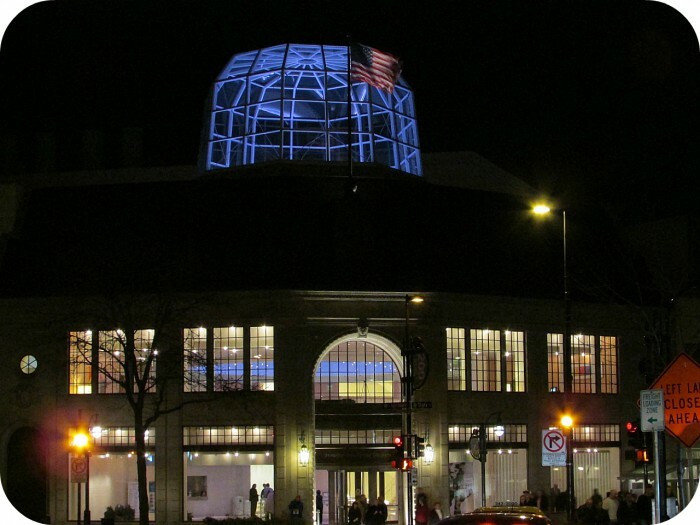 On the site was originally the Civic Center, the space was greatly expanded with the building of the center. It re-opened in 2004. Looks pretty at night. The kept the front of the old Civic Center intact. 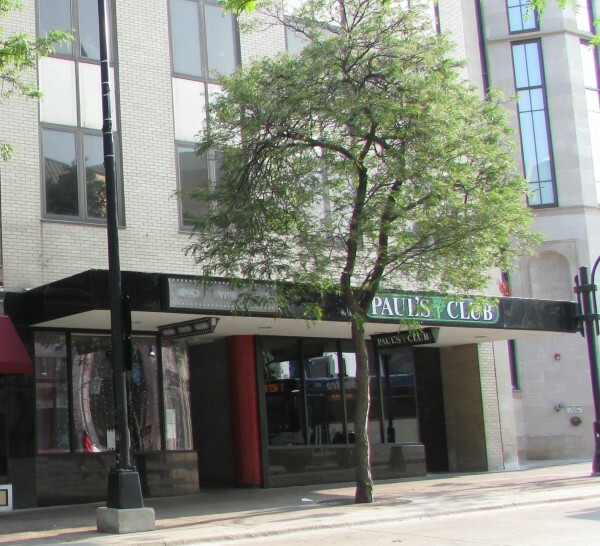 Paul’s Club across the street on the right has been an institution on State Street since 1962. It has an oak tree inside, an unusual feature. 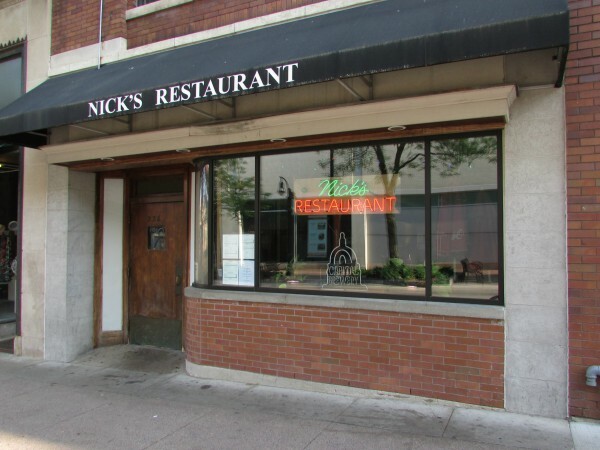 Nick’s Restaurant has a long history also, since 1959. 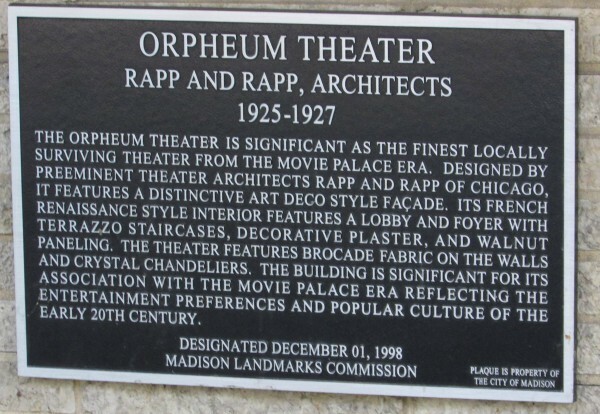 The Orpheum Theater and it’s red sign has been a fixture in Madison since 1926. We arrive at the end of this block, looking back toward the Capitol is a Noodles and Co. and the other end of the Overture Center. 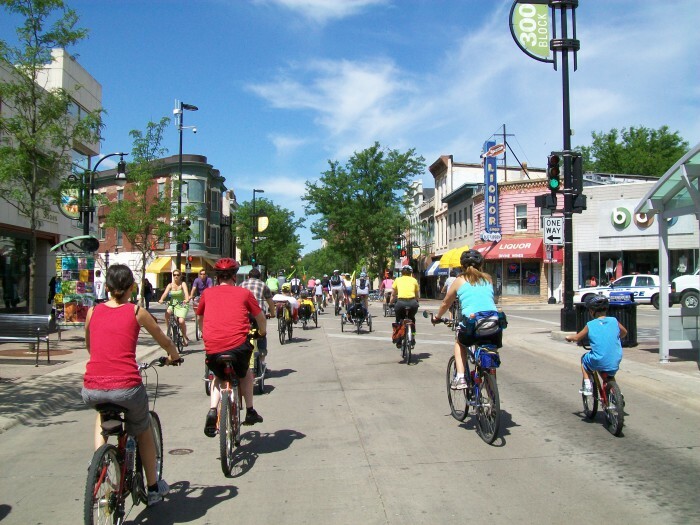 This picture was taken during Maxwell Street Days in the summer. This is a classic view of State Street. 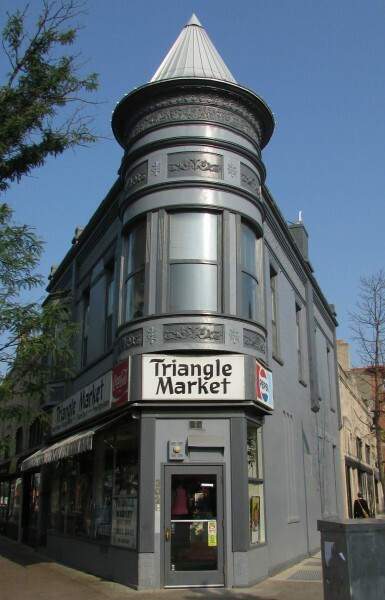 This block is home of the iconic Triangle Market and Tutto Pasta. 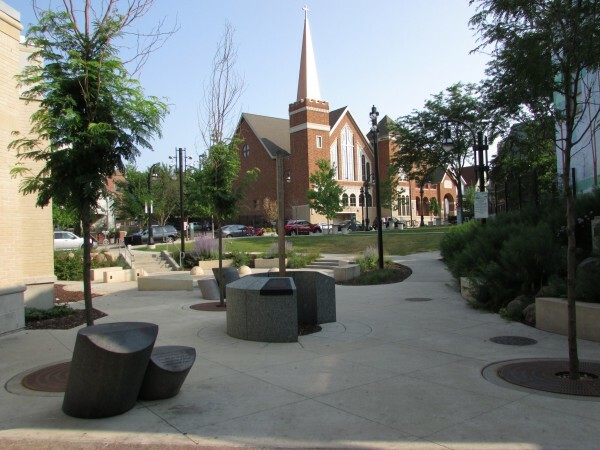 This is part of Madison’s special “Six Points” intersection. It’s a convergence of State, Johnson and Henry St. Behind us is the scene above. 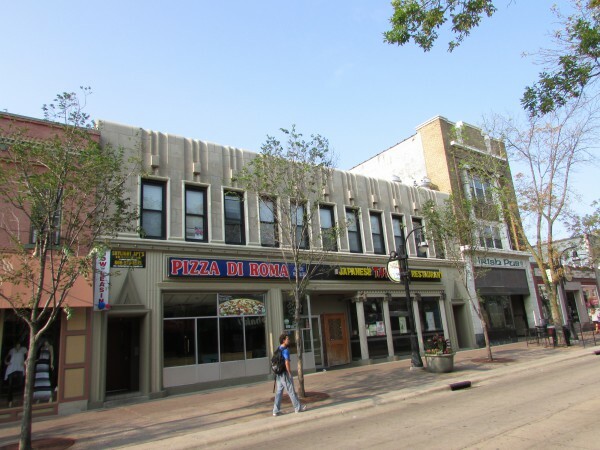 I have enjoyed lunch many times at Pizza Di Roma. Next door is the Takura Japanese Restaurant and Mackesey’s Irish Pub. 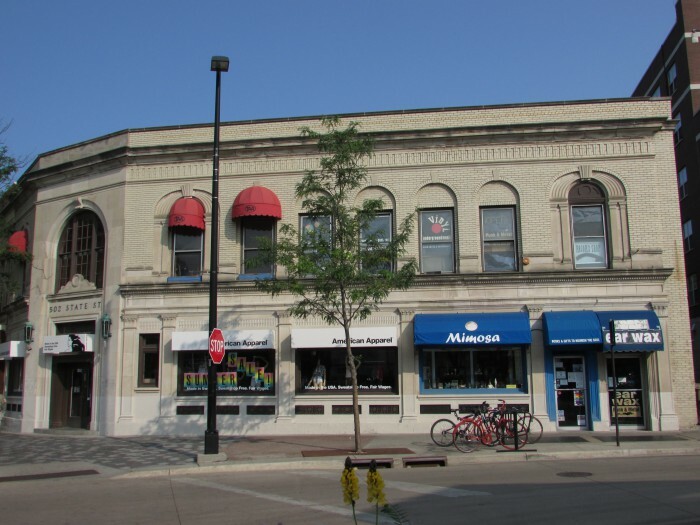 On the right is a new place, Crandall’s Peruvian Bistro. The Crandall family has served great food to Madison for 67 years and this is a new venture for them. Good luck! 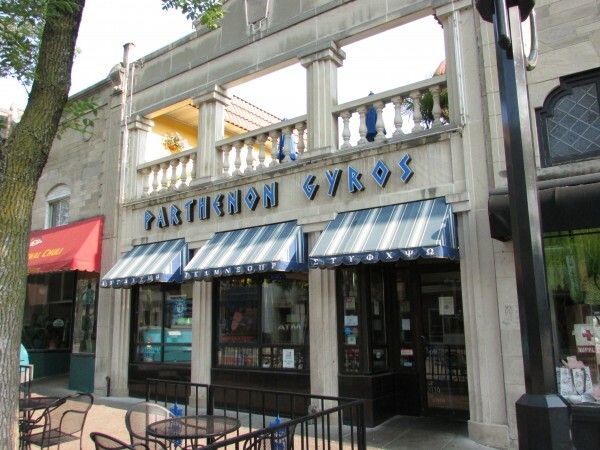 Also an old favorite, Parthenon Gyros. I have enjoyed going there the last 30 years. 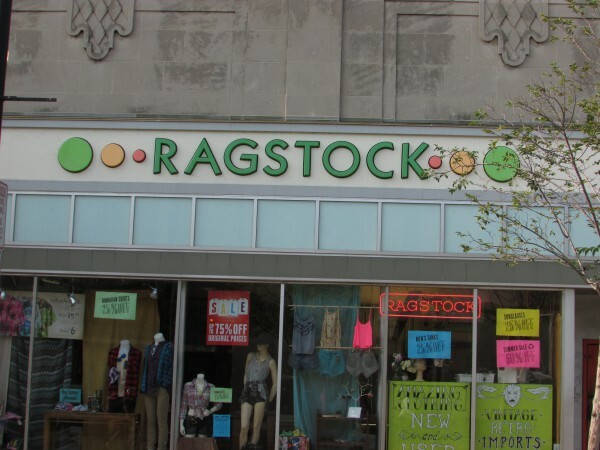 You can get new clothing at Jazzman, great used and new clothes at Ragstock across the street. We reach the end of the 300 block. 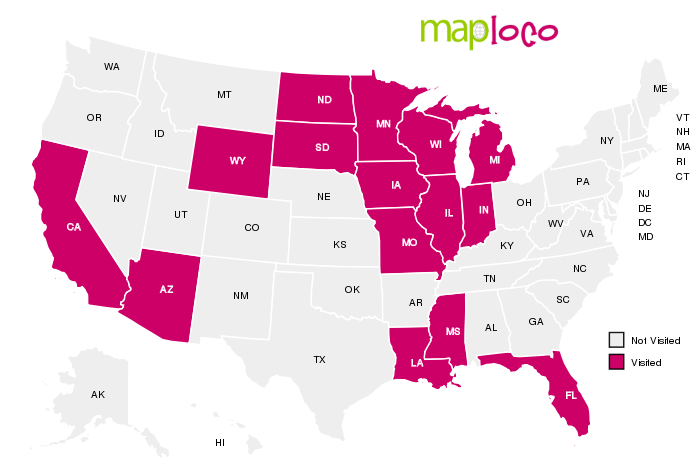 More great places yet to see! 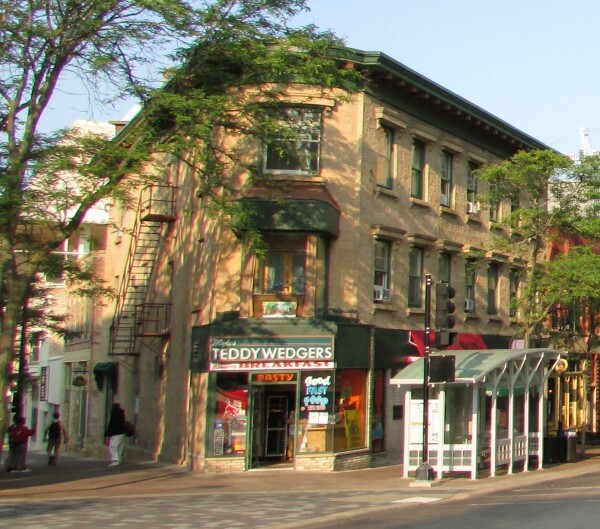 We begin the 400 block with Jamba Juice and Badger Liquor, “The Happiest Corner in Madison” since 1972. Jamba Juice has been on this corner since about 1990. 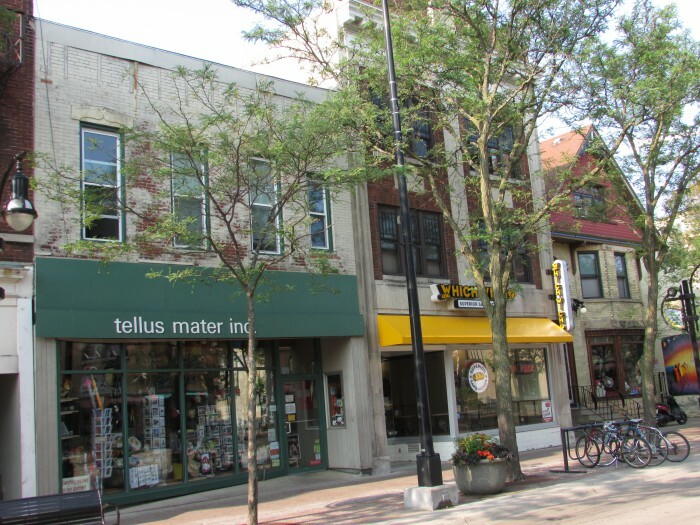 Next are Tellus Mater Inc (since 1959), Which Wich? sandwich shop (2003) and The Sacred Feather Hat Store (1975). 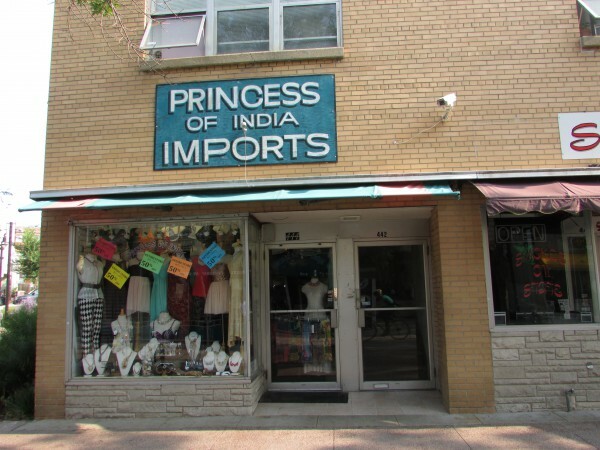 Princess of India Imports is another popular long-time clothing store on this block. Right next to this store is Elizabeth Link Peace Park, renovated in 2010. 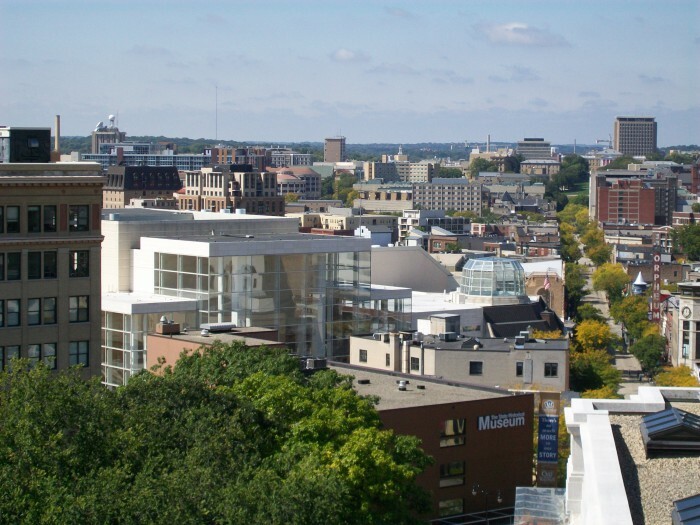 There is a lot in downtown Madison that can be overwhelming to a visitor. 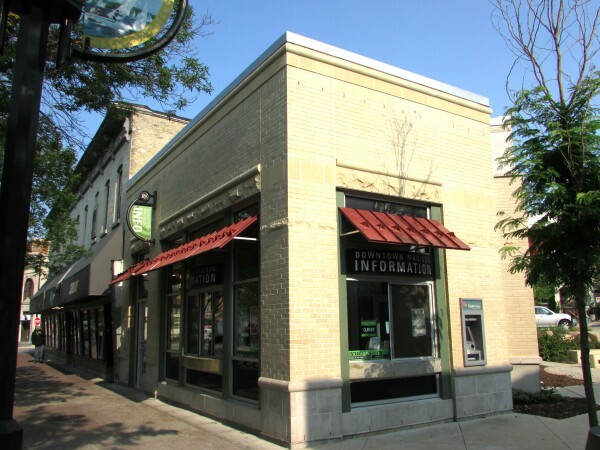 That’s covered too, the downtown visitor information center has many booklets and maps to help you get oriented. 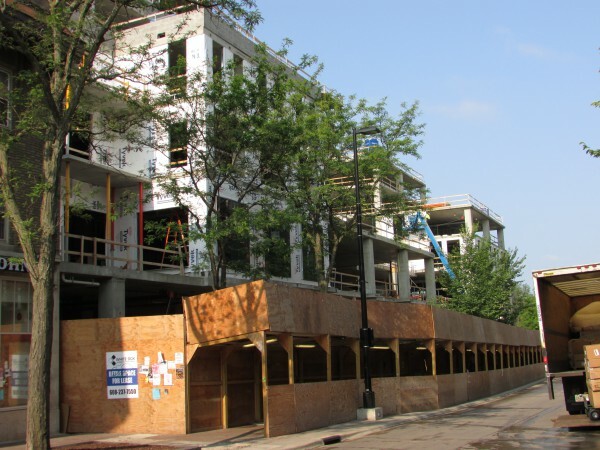 Now at the end of this block, there is a Subway (462 & 731 State), Chocolate Shoppe Ice Cream or Cold Stone Creamery on the other side. As you can see, there is construction going on up ahead. This building on the right has several businesses in it. American Apparel and Mimosa. The other grocery store on State, Stop and Shop. More views of the block, a large building going up right now. After picture next summer. This will be more retail space and also possible living space also. 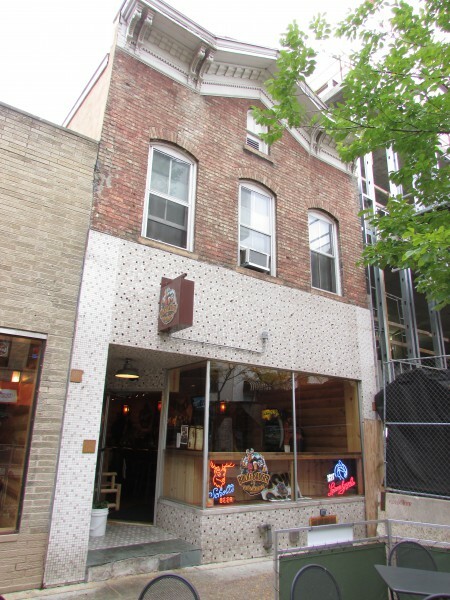 Further down is Steep and Brew Coffee, one of the early coffee shops in Madison. 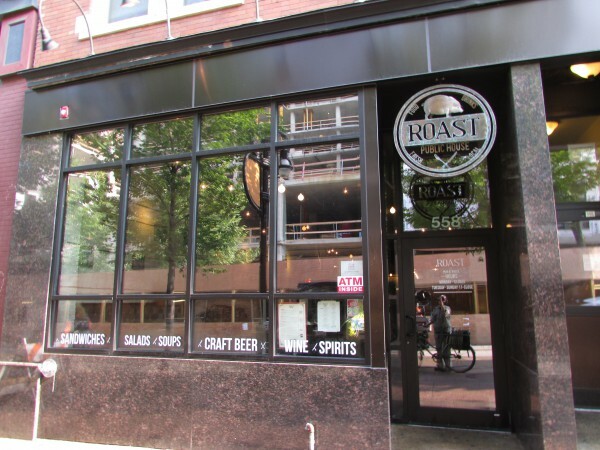 Roast Public House for food made with local ingredients, plus a bar. Also Potbelly Sandwich Works for more sandwich choices. 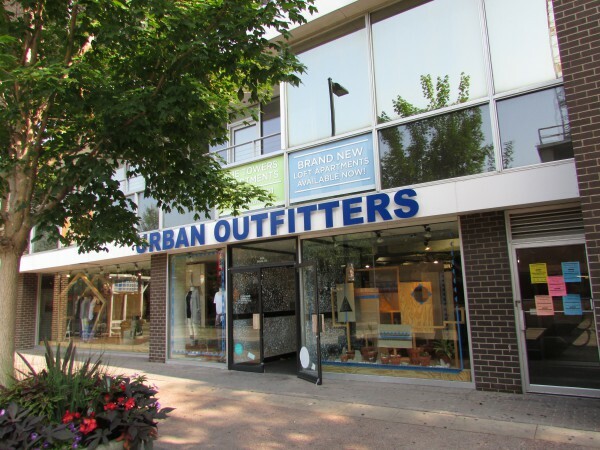 Urban Outfitters, another mainstay on this block. 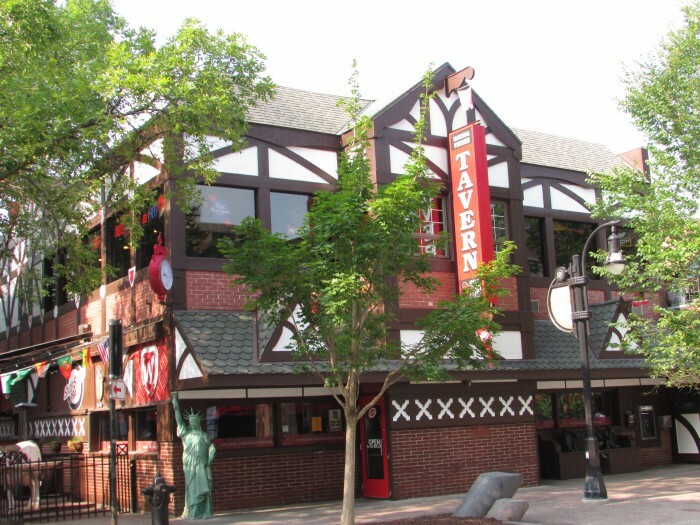 State Street Brats, a very popular place to go to watch a Badger football game. We have enjoyed going there. 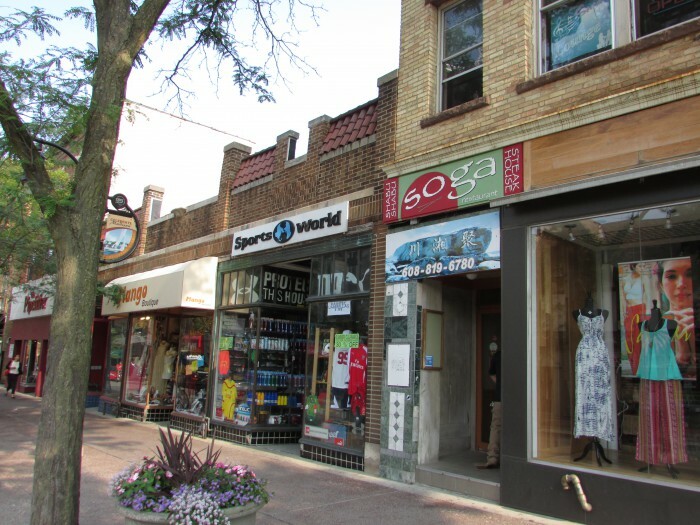 We near the end of the 600 block of State Street and we see our final businesses before seeing Library Mall and the UW Campus. 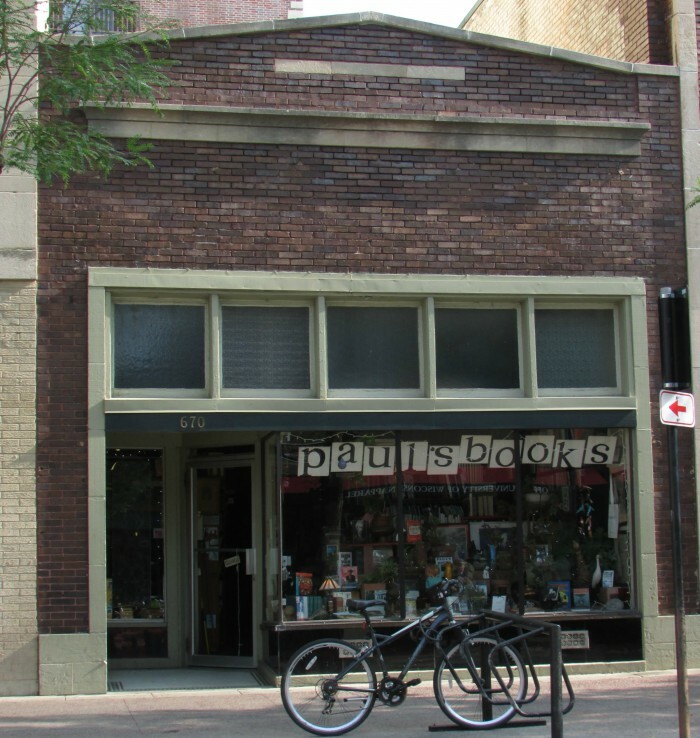 I have enjoyed going to Paul’s Books since I came to Madison in 1984. They have been here since 1954. The same exact window display too. you might find the out-of-print book you have been looking for here! You can sell books to them too! 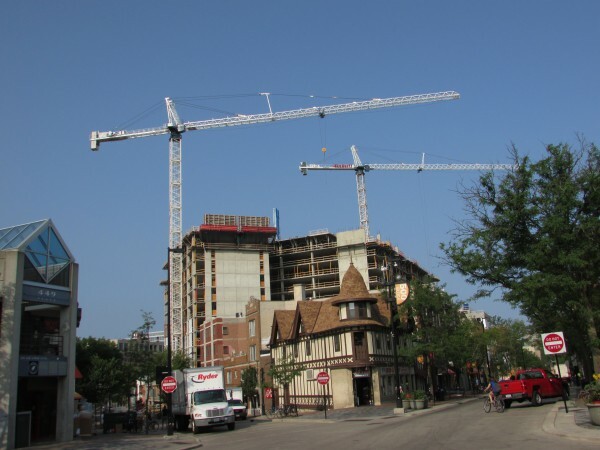 This story of State Street ends on a sad note. 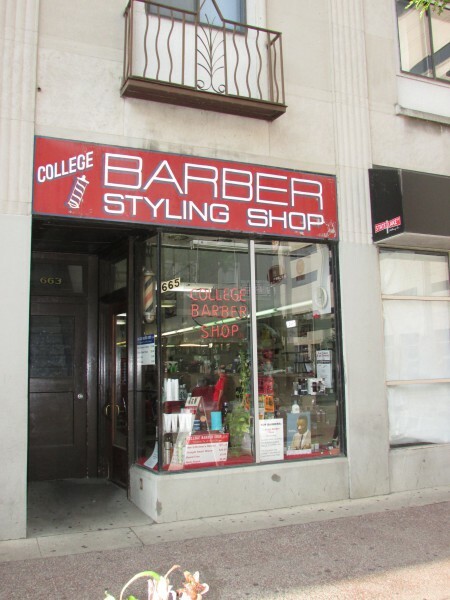 This is the College Barbershop, one of the oldest businesses on State, since the 1920’s. 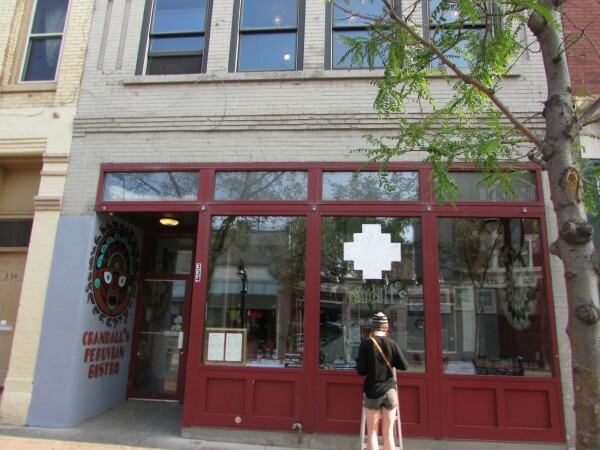 The landlord of the building ordered it be closed for good by the end of August in 2014. 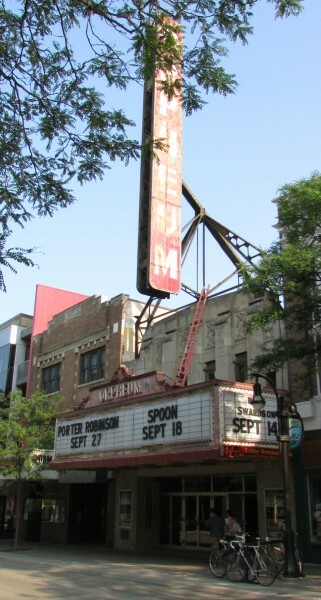 The landlord wants to renovate the building, a sad loss for Madison. 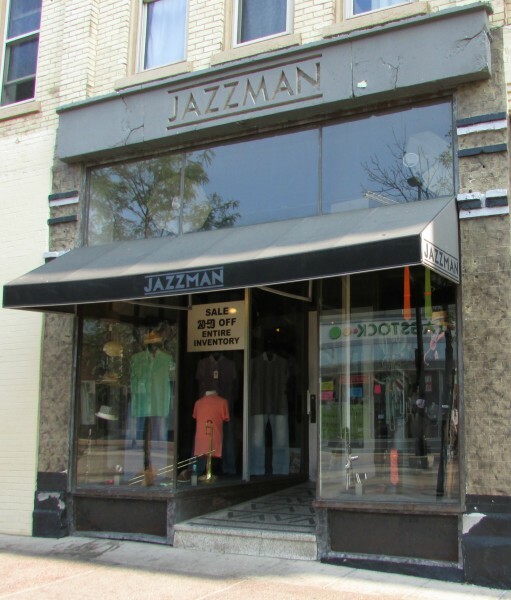 Our journey is done, be sure to take a stroll down State Street next time you visit Madison. ← Port of Dubuque Marina – Ice Harbor Fun! 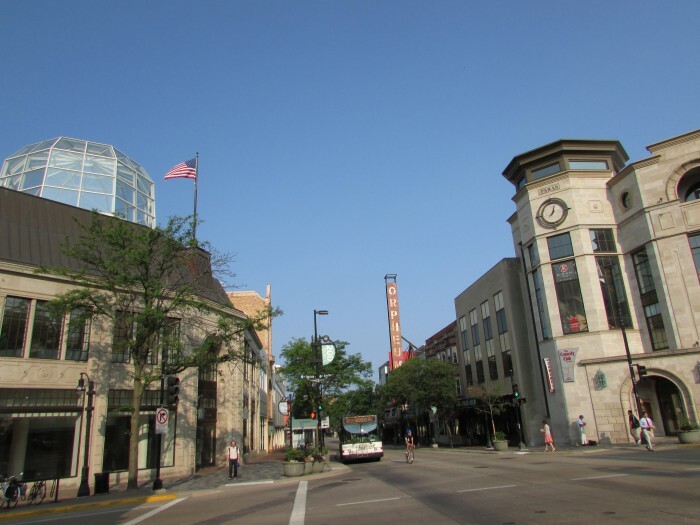 I’ve lived in Madison over 20 years and never toured State Street. Thanks for the informative tour. I loved it.